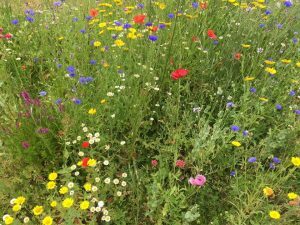 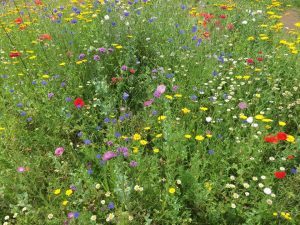 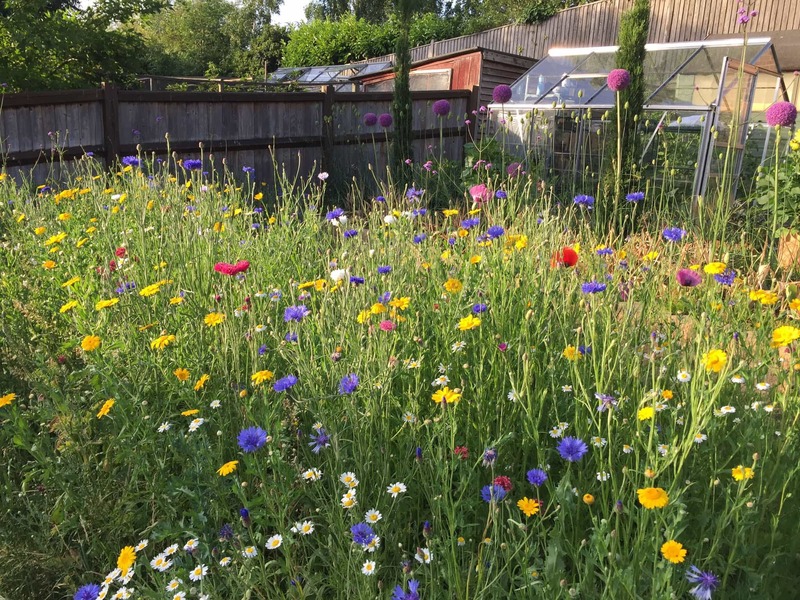 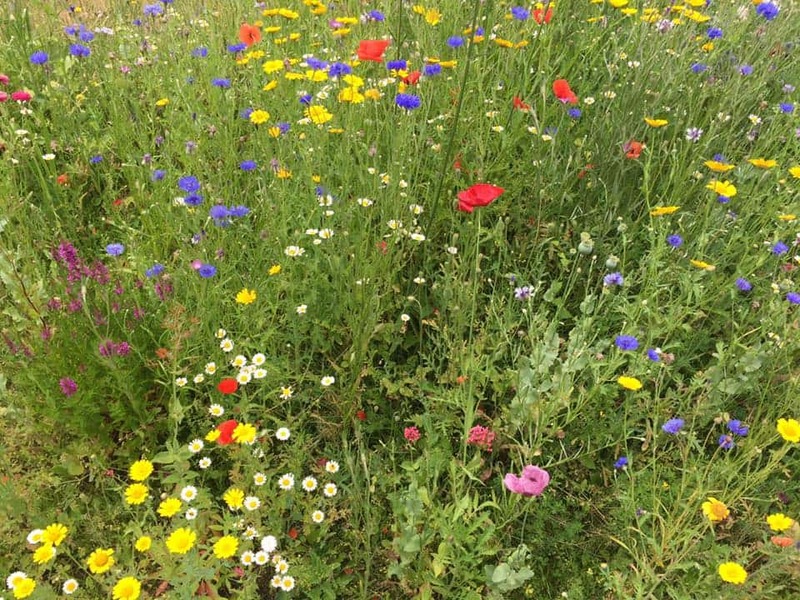 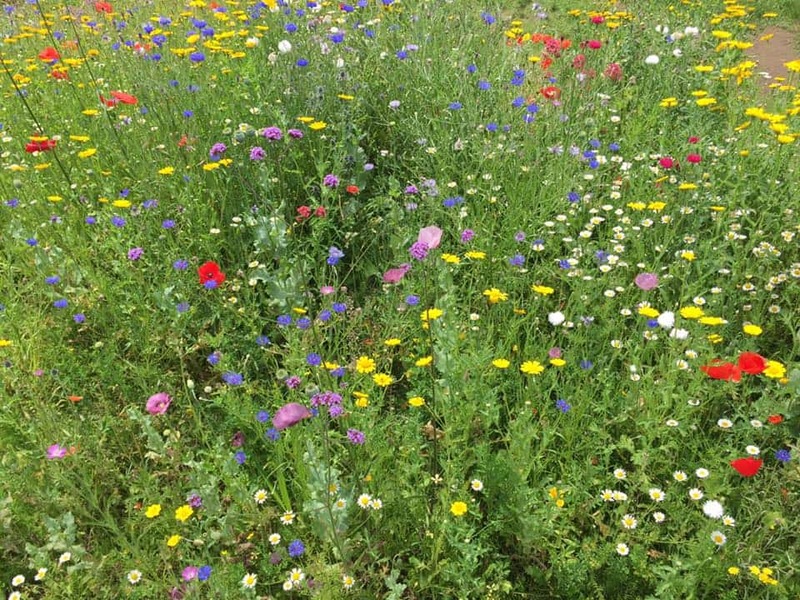 Wildflower meadow planting looks naturally stunning, the mixed flower displays continue for a longer period of time and they are also great for pollinators such as bees and butterflies. 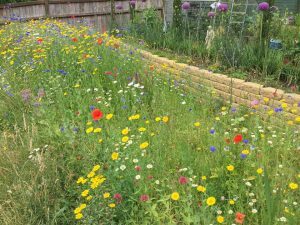 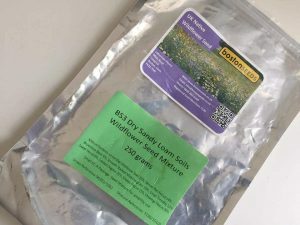 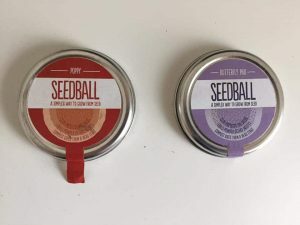 I have been terracing our hillside back garden for the past 9 months, this has involved much soil relocation on my part and I realised that this provided me with the perfect opportunity to sow a wild meadow area because wildflowers don’t like fertile soil. 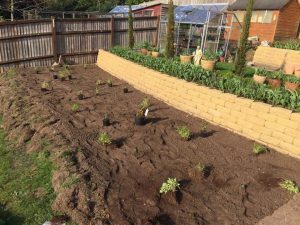 In removing a large volume of top soil from my third terrace I had only low fertility soil left behind. 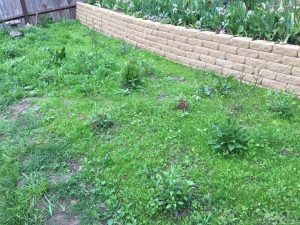 I should say that MrsGrow wasn’t too keen on the wild meadow idea and she would much rather I had turfed terrace number three immediately. 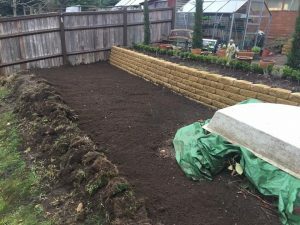 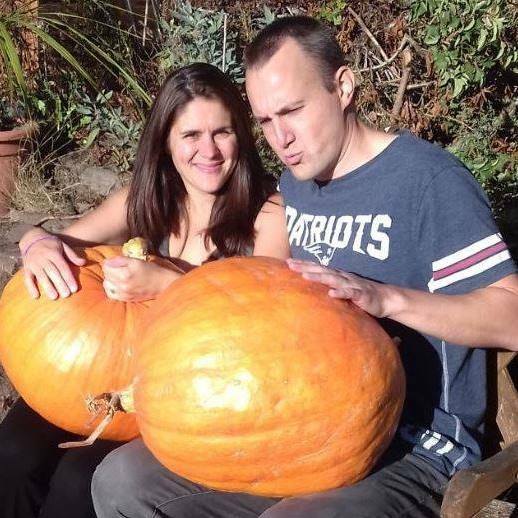 However, in order to do that I needed to build another permanent wall – and that had budget implications which could not be addressed at the time. 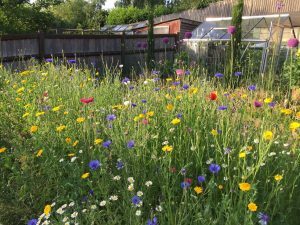 Since the garden is my domain (and MrsGrow’s is the house) I politely told MrsGrow that a wild meadow was going to be planted for 2017 and that she’d have to learn to live with it! 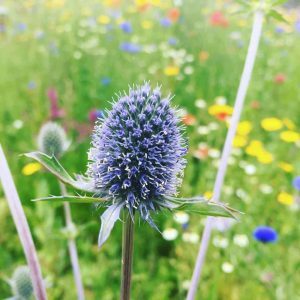 I have attended many garden design study days this year and seen both James Alexander Sinclair and Nigel Dunnett (of Olympic Park fame) present on the topic of garden design and wildflower planting. 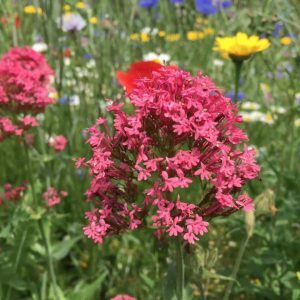 Nigel Dunnett appeared at the Gardens Illustrated Festival and it was here that he introduced me to the idea of mixed perennial and wildflower planting. 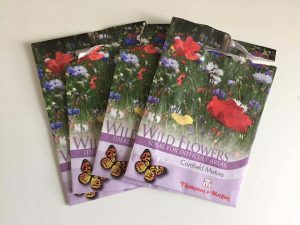 Essentially this involves planting perennials into a wildflower area in a random naturalistic way prior to sowing the wildflower seed around them. 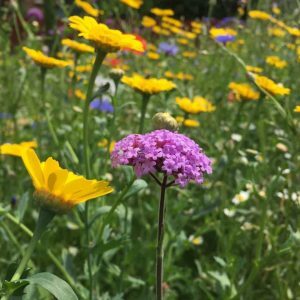 The mixed planting concept is really something of an extension of the planting style I have been learning at Great Dixter with Fergus Garett; the idea that plant species can be mixed to create interesting floral and structural displays, flowering in succession, and that there are no real rules that forbid any combination if it looks effective (and the plants are suited to the location).